Why go? Malaysia has plenty to tempt us, from colonial cities like Penang and Malacca to the hiking trails and tea plantations of the Cameron Highlands. The most popular part is the Malaysian Peninsula with its jungle-cloaked mountains, hideaway islands and luxury beach resorts, but it’s also well worth visiting Malaysian Borneo for its orang-utans, rainforest adventures and top class dive sites. Wherever you go, it’s highly likely you’ll fly via Kuala Lumpur, an inland capital born beside the confluence of the Klang and Gombak Rivers. In May British Airways launched direct flights here from London Heathrow, and the city, universally known as ‘KL’, has rewarding sights, markets, restaurants and rooftop bars to discover. When: Get ready for hot and steamy – and rain, which is heaviest in October-December and March-April. Key events are Chinese New Year (8 February 2016), Ramadan (6 June-5 July 2016) and the Malaysian Grand Prix (25 September 2016). Airport tips: The best way to get to the city centre is aboard the KLIA VIP Express Service train (kliaekspres.com) which takes 28 minutes. As a major hub, Kuala Lumpur International Airport (klia.com.my) has lots of shops and restaurants if you are in transit, and if you have five hours or more to fill there’s Showcase KL (showcasekl.com), a city tour for just £14 that combines the express train with a hop-on/hop-off bus. You really must… The tallest building in the world for six years, the 88-storey Petronas Towers (petronastwintowers.com.my) is a KL icon. You can whizz up to the 86th floor where there’s a 360m high viewpoint – entry is by timed ticket, book ahead online. After that must-see, what else you do needs some planning in this traffic-clogged metropolis. Get to know the KL Monorail (myrapid.com.my), for a useful guide see here, and make use of your hotel concierge for a map, directions and travel tips. For a taste of colonial KL head to Merdeka Square, centred on what was once the cricket pitch of the Royal Selangor Club, a mock-Tudor building from 1884 with a long verandah. Nearby is the Anglican Cathedral of St Mary looking very English, while across the park is the colossal Sultan Abdul Samad Building, built in 1897 with a clock from Croydon, and the free-entry National Textiles Museum (muziumtekstilnegara.gov.my), once the headquarters of the national railway. When you need a break, get a drink in the Kuala Lumpur City Gallery (klcitygallery.com) which has a good bookstore. 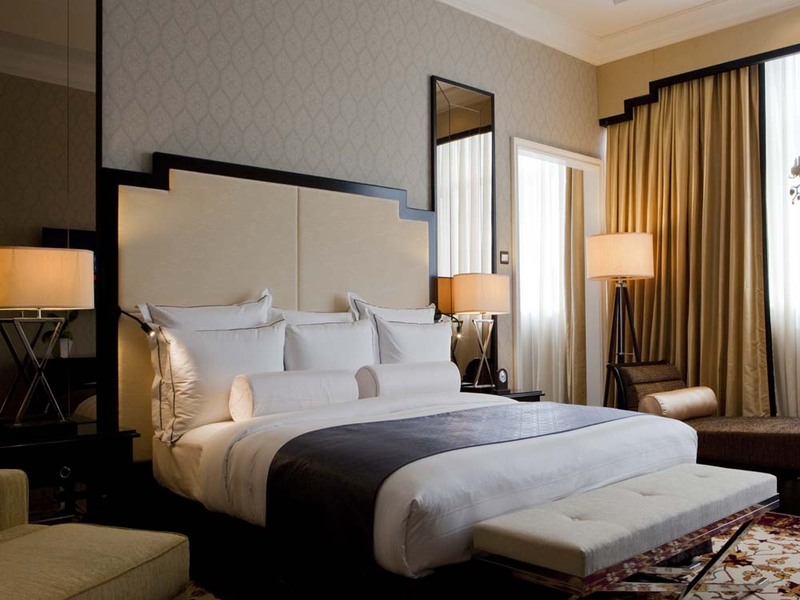 Stay at: Luxury hotels in KL aren’t as expensive as in many other Asian cities, so get ready for a treat! The Majestic Hotel (doubles from £63, majestickl.com) started life in 1932, took some other directions, then reappeared in 2012 as a five-star colonial-themed hotel. The 300 rooms are split between modern and heritage wings and there’s a pool, spa, orchid conservatory and complimentary shuttle to KL Sentral and other shopping areas. 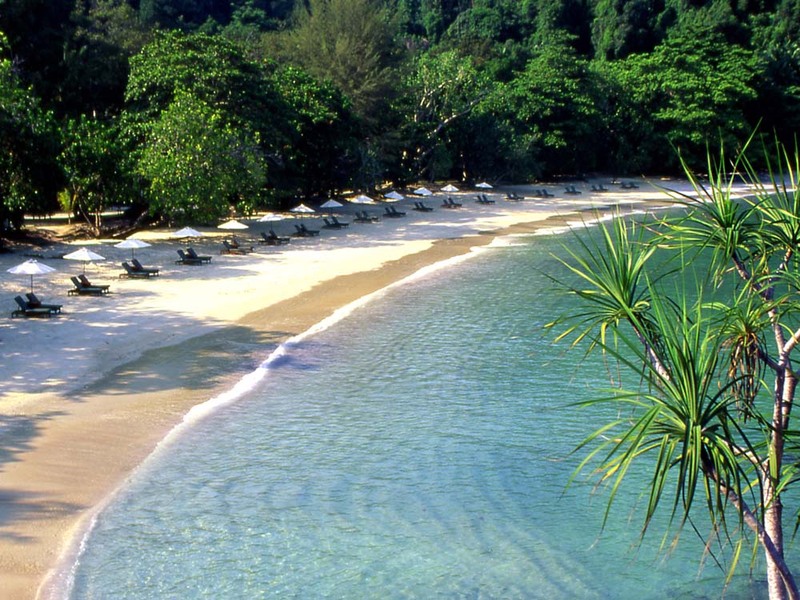 If you want to add in some beach time, its sister property, Pangkor Laut Resort (from £140 with breakfast, pangkorlautresort.com), is set on an jungle-wrapped island a three to four-hour drive northwest of KL. Star attractions are a quiet and private beach set beside Emerald Bay, luxurious over-water villas, complimentary yoga classes and a Spa Village offering dreamy treatments and rituals. Party at: All the fun happens on the rooftops here. If you have a head for heights, and it’s not raining, make for the Heli Lounge (facebook.com/heliloungebar). Set atop the 152m Menara KH skyscraper, it’s a heli-pad by day then a bar come sunset, with no barriers round the edge and a wonderful top-of-the-world feeling. Other high spots are Sky Bar, on the 33rd floor of Traders Hotel (shangri-la.com/kualalumpur/traders) and Marini’s 57 (marinis57.com) on the 57th floor of Petronas Tower 3. If you want more late night fun, head for the bars around Jalan Mesui and Changkat Bukit Bintang in the Golden Triangle district. Dine at: Malaysian cuisine is a wonderful cook-up of tastes and culinary styles that are principally of Malay, Indian and Chinese origin. Street food is big here, and you can eat extremely cheaply. Two restaurants worth a journey are the atmospheric Old China Café (oldchina.com.my) in Chinatown, set in a 1920s wooden shophouse with green glass lampshades and dishes that include prawns in coconut sauce and spicy beef curry. Bijan (bijanrestaurant.com), in the Golden Triangle, serves high class Malay dishes such as red snapper marinated with turmeric and ginger, and lamb cutlets with a spicy black sauce. Bring home: Built in 1888, the Central Market (centralmarket.com.my) is an enjoyable jumble of shops selling weird fruit and vegetables alongside ‘good imitation’ bags and antiques. 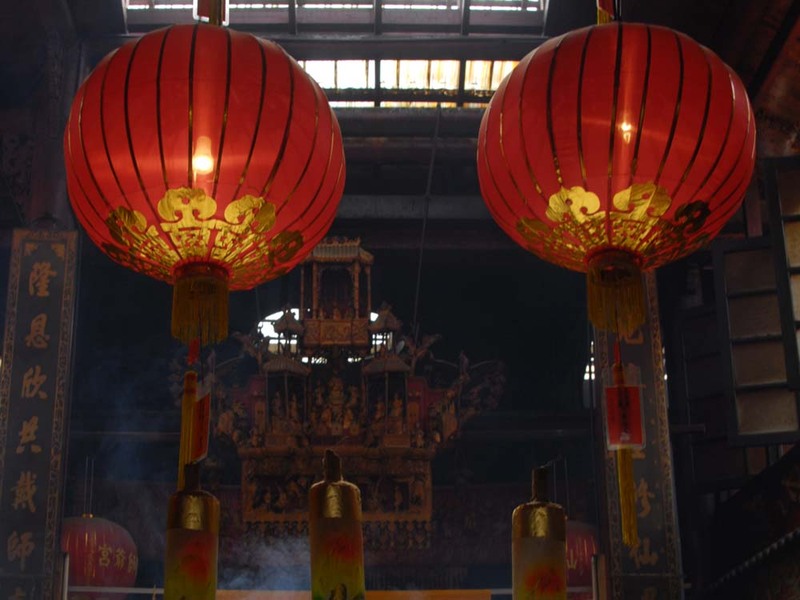 Tea, sarongs, spa products and the luridly coloured candles sold in Chinese temples are all good gifts to take back. Book now: British Airways (ba.com) flies direct from London Heathrow to Kuala Lumpur from £498 return in September. For packages including hotels see ba.com/kualalumpur. 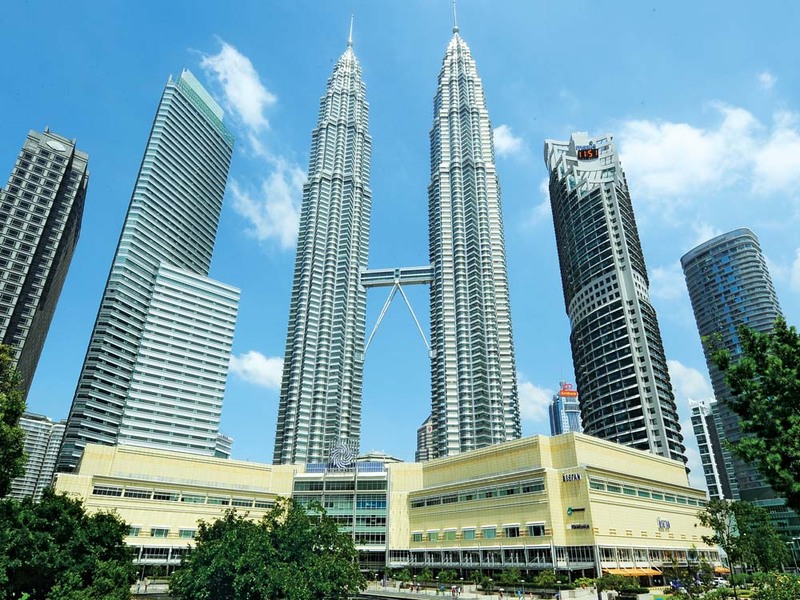 Info: Kuala Lumpur, Melaka and Penang (£14.99; Lonely Planet) is a comprehensive city guide and includes a detachable map; Luxe Kuala Lumpur (£4.99; luxecityguides.com) lists all the cool bars, restaurants and shops. For more information see timeout.com/kuala-lumpur, visitkl.gov.my and tourismmalaysia.gov.my.